This week’s pie comes courtesy of my friend, Lynn. I’m not much of a cream pie lover, but since my goal is to make all kinds of pie this year I decided to make a Banana Cream Pie. It was pretty luscious and got a thumbs up from all of the kids and I must confess that I have had about 5 pieces so far. I’m beginning to think this pie challenge may not be such a good idea for my waistline! Prepare vanilla pudding with only 1 1/2 cups milk, cool and fold into the mixture of sugar and cream already whipped stiff. 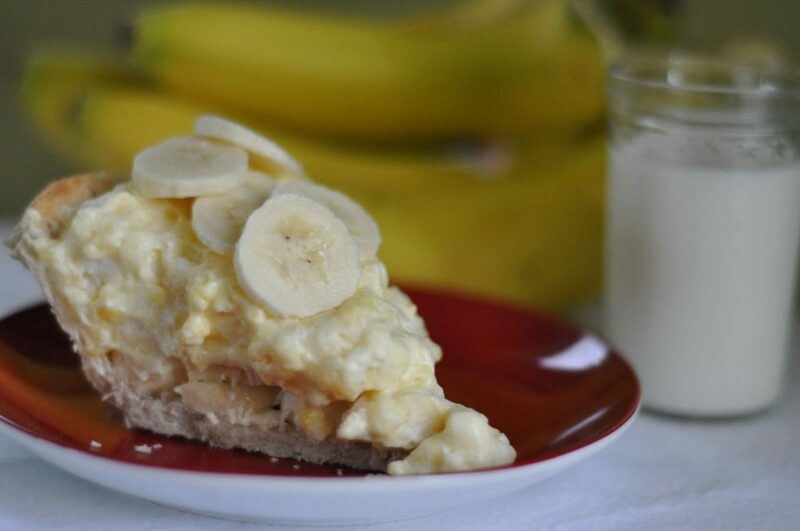 Slice bananas into the pie shell. Cover with the pudding/ whipped cream mixture. Your Mom was sweeter than this pie and that’s pretty darn sweet! I miss her, too. When I see this photograph, I instanly see my sweet mama’s face. It looks just like the many slices I enjoyed as a child. Miss my mom so much! !